WOW! 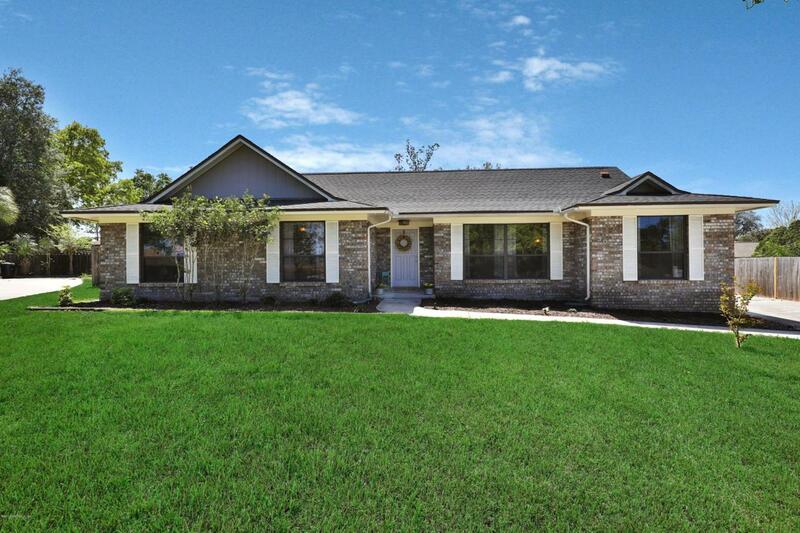 This all-BRICK home is nestled on the hilltop of a quiet cul-de-sac in the Foxridge neighborhood. 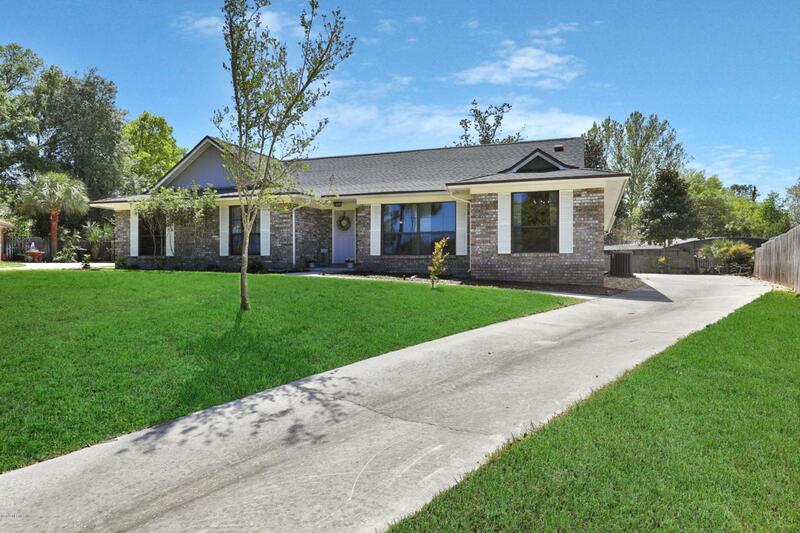 Close to shopping, dining, schools, I-295 & NAS Jax. Stepping through the front door & into the tiled foyer you'll feel right at HOME! 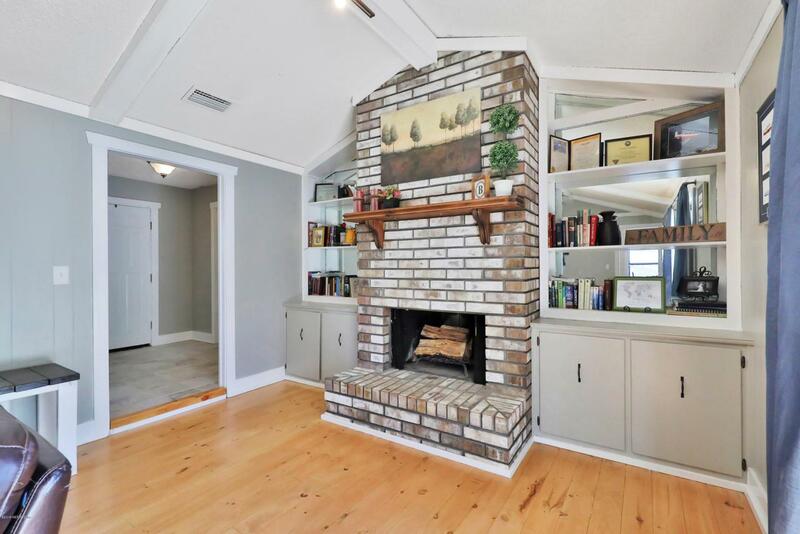 From the light & bright living room w/hardwood floors to the dining room w/board & batten wainscoting, to your adorable kitchen w/white-washed pine tongue & groove ceiling, gleaming quartz counters, custom 2X4 white subway tile backsplash, breakfast bar plus eat-in space too! 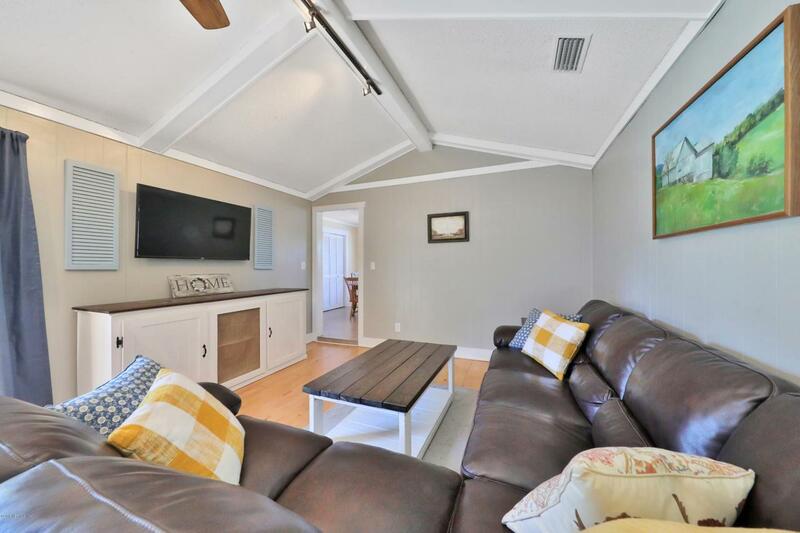 You'll love entertaining in the cozy family room w/wood-burning fireplace, vaulted beamed ceiling & sliders to the patio, ideal for taking the gathering outside to the huge backyard. Or escape the day in your spacious owners' suite w/sliders to the patio too! Character & Charm Abound!